In October 2008, Bob Dylan confirmed Robert Burns' legacy when he identified him as his greatest inspiration. That's not to say the Scottish Bard needed a nod from an American rocker to be considered relevant. Burns Night is still celebrated on January 25th the world over—with scotch and haggis, wherever possible. And people still love a good love song, be it "O My Luve's Like a Red, Red Rose" or "Buckets of Rain." But Dylan's endorsement does argue for Burns' continued influence on living writers. 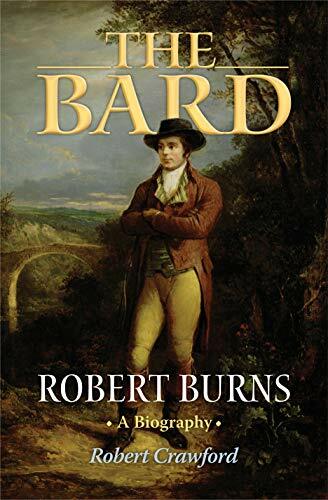 Even so, Robert Crawford's biography—published last year to mark the 250th anniversary of the Bard's birth—risks overstatement in introducing Burns as "the world's most popular love poet" and "the master poet of democracy." The connection is expectable enough, considering the affinities of Romantic individualism and democratic politics, but couched in such superlatives it seems too definitive. Assuming that good biographies are more often marked by careful understatement than by hyperbole, the reader enters the main chapters with caution.